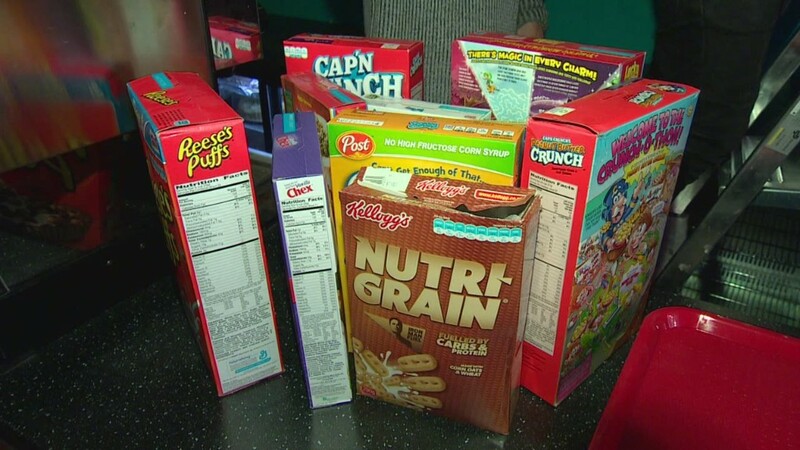 A trendy cereal cafe in east London is trying to get back to business as usual after it was attacked by an angry mob on Saturday night. The large crowd threw paint and smoke bombs at the small restaurant and damaged other businesses in protest against the gentrification of Shoreditch. The neighborhood in the British capital has become a hub for tech startups and hipsters in recent years. Customers and staff inside Cereal Killer Cafe had to run for cover and barricade the doors, said cafe owner Gary Keery. The crowd, who numbered in the hundreds, carried burning torches and toted plastic pig heads, he said. "The people that have done this, they obviously have a point to prove, but they went about it completely the wrong way," said Keery, who opened the independent restaurant in late 2014 with his twin brother, Alan. They are "protesting against the class war by targeting an independent business," he said. "We're being used as a scapegoat for a bit of publicity." London police said one person was arrested on suspicion of criminal damage and one officer suffered a minor injury after being hit by a bottle. One supporter wrote in a blog: "The Cereal Killer Cafe is a legitimate target for protest as a symbol of the invading hordes that have taken over Shoreditch, driving up rent prices and driving out ordinary people who have lived there for years ... Yes, hipster businesses aren't the actual problem -- capitalism and landlords are -- but it is certainly a good thing that these people were made to feel unwelcome." Meanwhile, another protestor -- Will Harvey -- wrote an opinion piece for The Guardian newspaper, saying the protest was based on legitimate concerns about poverty in the area. "Many parents in the area suffer the indignity of relying on food banks to feed their children while the new Shoreditch residents can make a successful business selling children's cereal for £5 a bowl." 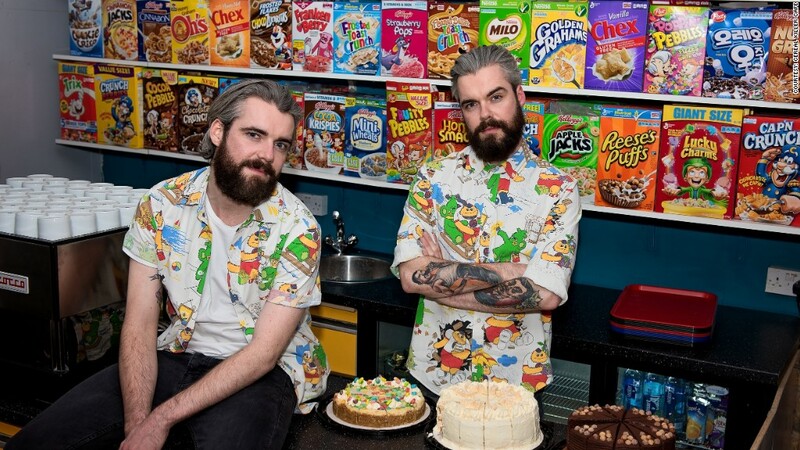 Identical twins Gary and Alan Keery posing in the Cereal Killer Cafe when it opened in late 2014. "We're not going to let the bullies stop us," he said, noting that he has seen more customers coming through his doors since the weekend incident. The cafe reopened promptly on Sunday morning. Keery said the only real damage left is some smeared paint on the outside of the cafe. But a decorating company has already emailed him and offered to repaint.